Getting Smart, an education-based blogging, consulting, publishing, and speaking organization, has named the Jack Kent Cooke Foundation in its second annual Smart List of HigherEd Innovators. The list was announced on November 21, 2014, and serves to acknowledge people and organizations who lead the way towards making college possible for all students. The awards are divided into five categories: platforms, premium innovators, low-cost & competency-based, program management, and support organizations. The Foundation falls into the last category alongside Educause and Lumina Foundation. As the largest scholarship foundation in the country, the Jack Kent Cooke Foundation is dedicated to advancing the education of exceptionally promising students who have financial need. Because we believe that high-potential, low-income students will excel educationally when given the resources to develop their talents, the Foundation supports exceptional students from elementary school to graduate school through scholarships, grants, direct service, and knowledge creation and dissemination. Founded in 2000, the Foundation has awarded $125 million in scholarships to 1,800 students, and $79 million in grants to organizations that support our mission. 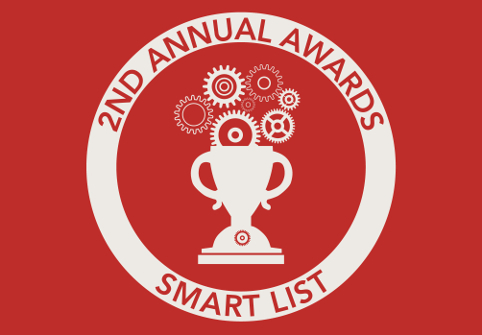 We thank Getting Smart for its recognition of our work supporting talented low-income students. Please read the full announcement here.